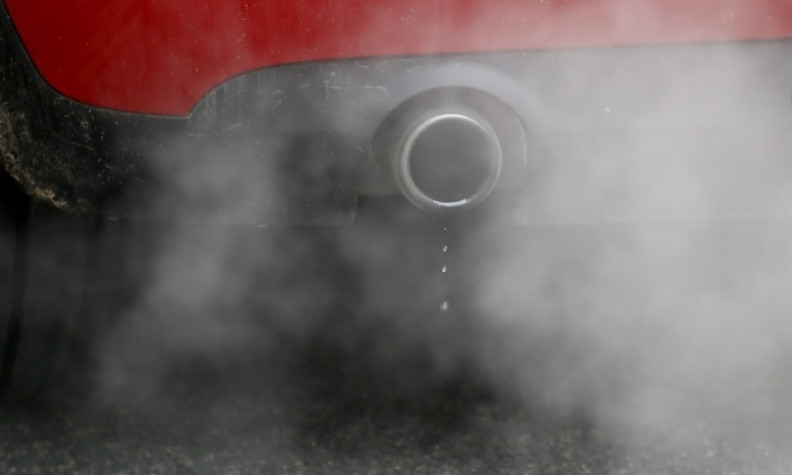 MUNICH – Volkswagen Group, Daimler and BMW condemned experiments that exposed humans to diesel fumes, promising to investigate the tests whose disclosure threatens to open a new phase in an emissions controversy that's dogged the industry since 2015. The study, supported by a little-known group founded by the three automakers in 2007, had 25 people breathe diesel exhaust at a clinic used by the University of Aachen, the Stuttgarter Zeitung newspaper reported Monday. Reports of the tests triggered political recriminations and had automakers scrambling to distance themselves. The actions further undermine diesel's image, steepening an increasingly uphill battle to rescue the technology amid worsening political headwinds. "This is another hit for diesel and shows how carmakers overstepped the mark morally and ethically in their fight to make diesel socially acceptable," said Stefan Bratzel, director of the Center of Automotive Management in Bergisch Gladbach, Germany. "This news means more pressure for politicians to act on diesel." The story cited annual reports from the European Research Group on Environment and Health in the Transport Sector, or EUGT, which closed last year. This followed a story from the The New York Times earlier that said the organization also conducted tests using monkeys. The university defended its experiments on Monday, saying the study was approved by an independent ethics board. It focused on health effects in the workplace, such as for welders and mechanics. The university said it had followed typical procedures, such as approval by an independent ethics commission as well as written consent from each participant, it said. The study ended before the 2015 revelations about VW's software. That Aachen University apparently followed protocol "means I don't see the need to issue further instructions and regulation at the present time," Joachim Pfeiffer, lead lawmaker for economic policy for Angela Merkel's Christian Democrat-Christian Social Union group in parliament, said in a statement. "This would put our economy and science in a straitjacket with fatal consequences for Germany's position." Other politicians swiftly condemned the tests. The prime minister of Lower Saxony, who is also a member of Volkswagen's supervisory board, has asked for an investigation and for management to explain the trials. "The words 'absurd and abhorrent' of course apply more than ever if the same is applied to humans," Lower Saxony Prime Minister Stephan Weil told reporters. "It must now be established whether that is the case, under whose orders and when." Diesel remains a key profit driver for German automakers, even though demand has slipped in Europe, its main market, since Volkswagen's 2015 diesel emissions cheating scandal. In an additional twist, the VW Beetle model used in the test with animals was among the vehicles rigged to cheat on emissions tests, The New York Times reported. Over the weekend, Volkswagen apologized for the misconduct and lack of judgment of some individuals, calling the trials a mistake. BMW, while distancing itself from the studies, said the assessment of the trial at Aachen University before an independent body with appropriate expertise -- such as the ethics commission -- should be taken into account. Daimler also promised to investigate, while saying it didn't have any influence over the study. "We are appalled by the extent of the studies and their implementation," Daimler said in an emailed statement. "We condemn the experiments in the strongest terms."